There is a golden opportunity for trained unemployed. For the first time in Uttarakhand, the largest employment fair will be held in Khatima on January 20 organised by Department of Employment. In this employment fair more than 3000 will get employment. Different companies from Uttarakhand & other states will participate in this employment fair. In order to provide employment to trained unemployed, the employment department is organizing a job fair in Khatima. The fair will be held in Tharu Govt Inter College on January 20. Various companies will participate in thi job fair and provide employment through interview. Major industrial units among them are from Sidcul Haridwar, Dehradun, Pantnagar, Sitarganj and outside the state. Candidates having educational qualification of Class-8, High School, Inter, B.Sc, BCom, MCom, ITI, Diploma, BBA, BTech, ANM, GNM, BSc, Nursing, BPharma, DPharma, HM, Driver, Security, Supervisor, Cook etc and other could participate in this job fair for 3000 vacancies to be filled. 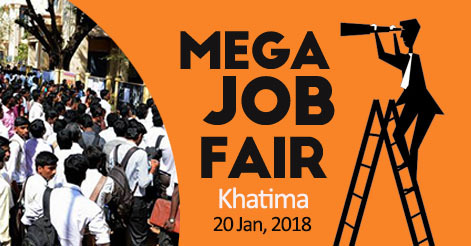 In order to participate in this employment fair at Khatima, the candidates will have to register on the National Career Service Portal of the Government of India https://www.ncs.gov.in. Registration facilities would also be arranged in the fair. In addition, the candidate will have bring self-certified photocopies of the Employment Card, Education Qualifications certificates, Domicile & Caste certificate with CV and six photographs. Recruitment will be done at Fitter, Turner, Mechanical, Welder, Cook, Nurse, ANM, GNM, Driver, BPharma, DPharma, Security Guard, Security Supervisor, Salesman, Marketing Supervisor, Operator, Quality Inspector etc. 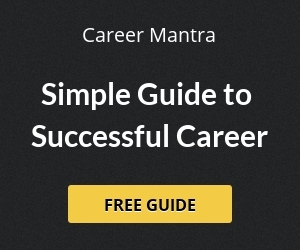 Tata, Bajaj, Sunsera, Nestle, Britannia, Parle, Duke, Gujarat Ambuja, Apolla Home Healthcare, Setco, Polyplex, Easter, SIS Security, Sign HR Management, Impedia Dialysis Technician Academy, Edico India etc. Help us to improve this article/job posting "3000 Jobs will be filled at Job Fair (Rojgar Mela) in Khatima". We would be glad if you can comment below and provide your valuable suggestions and feedback. If this page have any wrong information/list or out of context content, then you can report us as well. sir muje job fild wrk ke chaye mene kaafi jaga fild work kaam kar chuka hu pls help me sir!! any Job for store incharge or asst manager purchase healthcare and others deptt.5 year exper. Sir, I am 12th pass, pursuing graduation. I have basic knowledge of computer nd done different diploma course in related to computer. I need a job related to computer based work or clerk level or account management.